1. 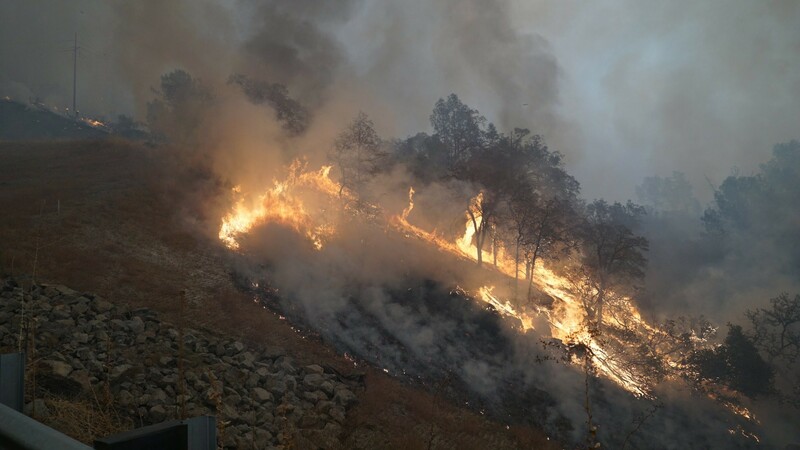 The fast-moving Camp fire, just east of Chico, roared through the town of Paradise on Thursday, destroying about 1,000 structures, before spreading to about 70,000 acres overnight, the Sacramento Bee$ reports. The massive wildfire forced the closure of CSU Chico as authorities issued evacuation orders for parts of the city. 2. In Southern California, the Woolsey fire ripped through parts of Ventura County and leapt across Highway 101 before forcing the evacuation of Malibu as it raced toward the ocean, the LA Times$ reports. The 8,000-acre wildfire destroyed numerous structures and forced evacuations in Thousand Oaks, which is still reeling from the mass shooting that left 13 dead on Wednesday night. 4. An Alameda shipyard, operated by Golden Gate Zero Emission Marine and Bay Ship & Yacht Co., is building the Bay Area’s first hydrogen-fuel-cell-powered ferry, reports Michael Cabanatuan of the San Francisco Chronicle$. The ferry is expected to be completed late next year and will be much more eco-friendly than the diesel-powered ferries now used on the bay. 5. The Ninth Circuit Court of Appeals dealt another legal setback to President Trump, upholding “a nationwide injunction blocking the White House from rescinding the Deferred Action for Childhood Arrivals [DACA] program,” reports Tatiana Sanchez of the Bay Area News Group$. The Trump administration is expected to appeal the decision to the U.S. Supreme Court. 6. And the “Food and Drug Administration plans to ban sales of most flavored e-cigarettes in retail stores and gas stations around the country, in an effort to reduce the popularity of vaping among young people,” The New York Times$ reports.